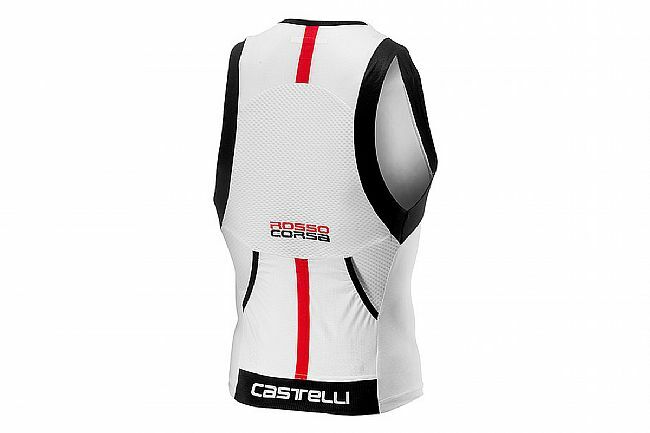 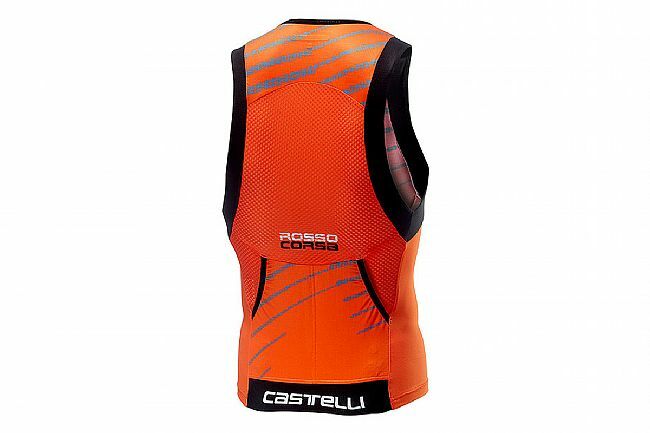 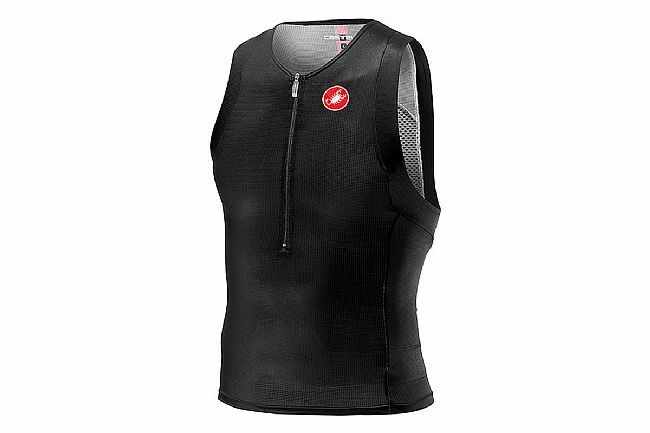 Castelli's Men's Free Tri Top features SpeedFreak ventilated race fabric on the front and Velocity Mesh on the back, delivering wind-tunnel-proven speed on the bike. 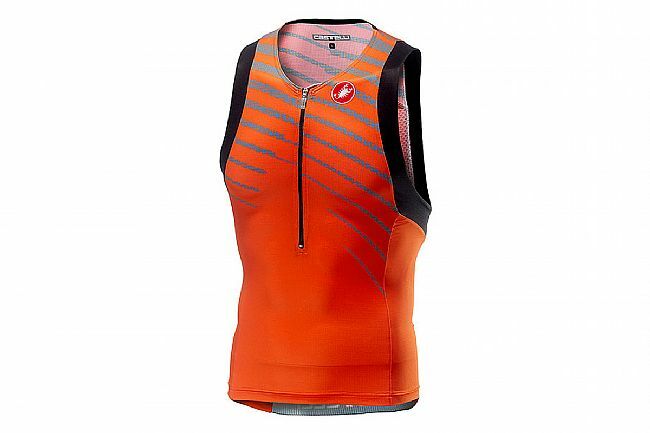 The SnapLock fastener at lower back clips to the Free Tri Short to prevent riding up during the swim or bike leg. 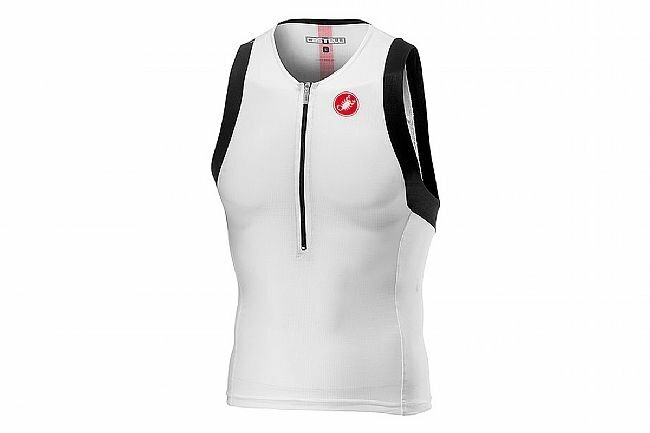 SnapLock fastener lower back clips.